Sorry! We are no longer accepting Leadership Academy Applications for this year. 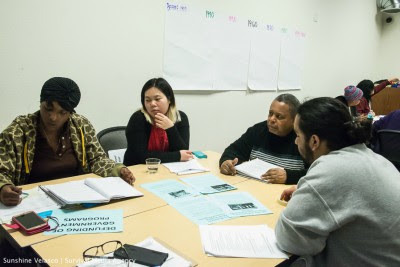 To grow a powerful resident and community organizing base to change policies and challenge systems of oppression, EBHO believes that residents who have been historically left out of decision-making processes should be at the forefront. In line with a transformative organizing practice, we dive into systems change, presenting a critique of our economic system and its impact on housing. We advocate for collective change and personal transformation by learning about where we’ve been and why. Each session demands an exploration of the forces at play in our communities but also the forces impacting our one-to-one interactions. This Leadership Academy is a deep investment in promising and emerging leaders who will help shape and grow the housing justice movement. We’ve appreciated your effort in helping us recruit the past couple years, and would love to have your input again! We are looking for dedicated, social justice-oriented affordable housing residents and staff to participate in the Leadership Academy. Ideal candidates would reflect the age, race, and gender diversity of the communities we serve. Due to EBHO’s limited staff capacity, all candidates for this first Leadership Academy must live or work in Oakland to participate. 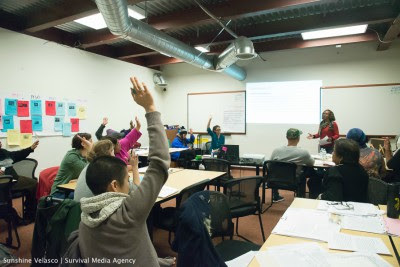 The Leadership Academy is a four month program focusing on the essential elements needed in becoming an effective affordable housing advocate and community leader. Each cohort will be limited to 15-20 residents and staff. The group will meet twice a month beginning in mid-January and culminating in May. The specific meeting time will be determined depending on the time that accommodates the majority of participants and EBHO staff. Participants are expected to attend all 8 workshops. Each workshop will be two hours long. Workshops will feature a mix of interactive exercises and guest lectures from experts of the respective workshop topics. 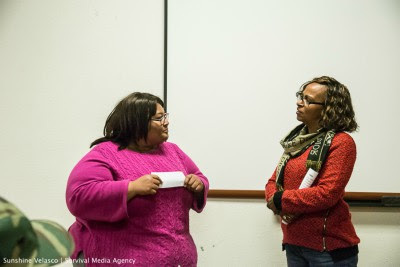 Graduates will obtain a certificate of completion as well as be identified as a core leader of EBHO’s Resident and Community Organizing Program. Leadership: Gain knowledge of different leadership models, qualities and values of leaders, and the hard skills to be a successful leader. Housing Justice: Learn about affordable housing policy, the history of housing as a faith and social justice issue, and tenants’ rights. Understand the intersection of housing, race, and class. Civic Education: Understand how you local government works and participate in a City Council tour and experience. Strategic Communications: Find out how to be an effective advocate and practice your communication skills. Community Organizing: Discover different community organizing models and how to develop and win your own issue campaign. Do you have a staff member/resident leader/community member that you want to nominate? The application includes detailed information on both the application and nomination processes. The deadline for applications is extended to February 21, 2019. Contact Dolores: dolores@ebho.org, 510-499-3660 for more information or to have an application mailed to you.